Though it's full name is El Templo Expiatorio de la Sagrada Familia (The Expiatory Temple of the Holy Family), this building is simply known as the Sagrada Familia, a basilica designed by the Catalan architect Antoni Gaudí i Cornet. It is one of the most famous works by the artist and is the most iconic and visited monument in Barcelona with almost 5 million visitors in 2017. Are you intrigued about the interior of the Sagrada Familia? 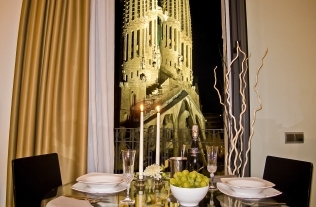 Then check out our article about the exterior and interior of the Sagrada Familia. The exterior is breathtaking and the interior goes even further. Through the use of the stained glass windows and the columns it feels like you are in a tropical forest. Work on this project began in 1882 and it's still not complete today! The building actually started without Gaudí being part of the project, though he joined a year in and made a complete overhaul of the design. The organisation of the Sagrada Familia announced in 2011 that the basilica should be finished in 2026. But is that even possible? A political conflict will probably prevent the Sagrada Familia from being finished in 2026. Sagrada Familia Finished in 2026... or not? 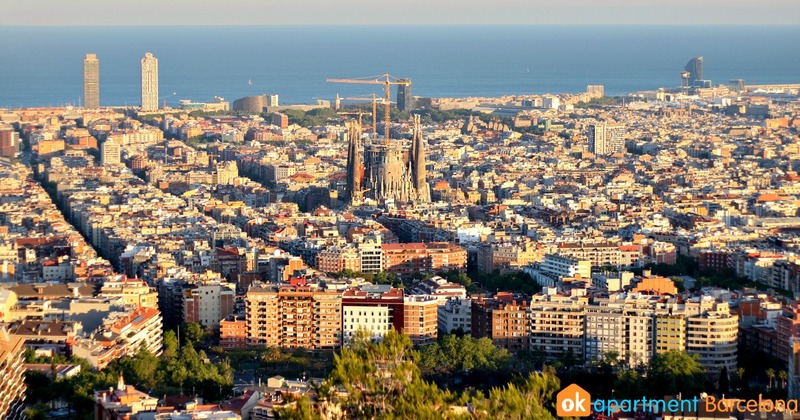 Ok Apartment 07 Jun 2018 Will the Sagrada Familia really be finished in 2026? Why is the work taking so long? The original idea of the Sagrada Familia came from a bookseller called Josep Maria Bocabella. He funded the project, taken on by Francisco de Paula de Villar y Lozano who proposed a replica of the Basilica della Santa Casa in Loreto, Italy. After some disputes during the project though, Bocabella eventually offered the project to his assistant at the time, Antoni Gaudí, who dedicated the rest of his life to the project. He famously said when questioned about the speed of the project "My client is not in a hurry...". He passed away having completed the front façade and one of the towers. After Gaudí died at 73 years old in a tram accident, his assistant Doménec Sugrañes took charge of the project, finishing three columns. Sadly, during the civil war, a fire broke out in the crypt, effectively destroying many of Gaudí's original plans and directions. Construction resumed in 1944 and the new architects had to imagine many of the ideas that Gaudí must have had, leading to several theories that the church we see today may vary greatly from the original intentions of Gaudí. Regardless of whether the design adheres strictly to his plans or not, UNESCO declared the building a world heritage site in 2005, under the works of Gaudí. The essential guide on how to get pickpocketed Learn how pickpockets target people in this essential guide to getting pick-pocketed in Barcelona!